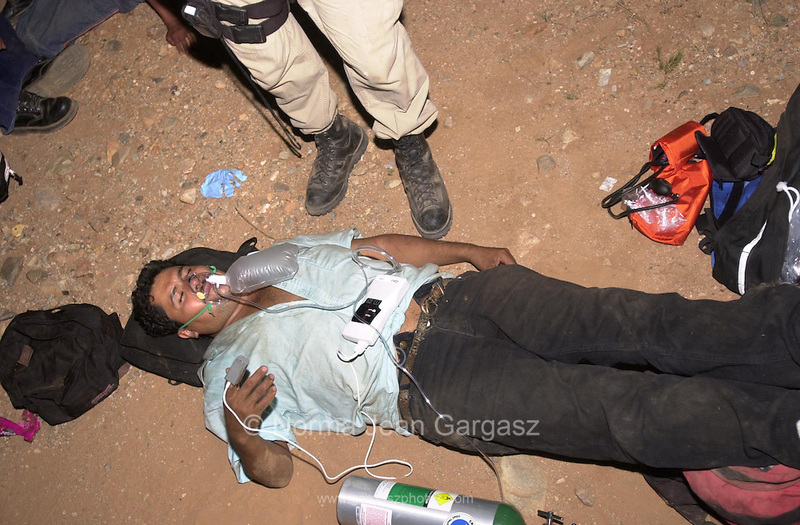 An illegal immigrant from Mexico is administered oxygen by a BORSTAR agent after surrendering at Little Tucson on the Tohono O'odham Nation, Arizona, USA. A 55-year-old man traveling with his group died from dehydration and and heat exhaustion about a mile up the road. The smuggler abandoned the group in the Sonoran Desert in temperatures exceeding 100 degrees.